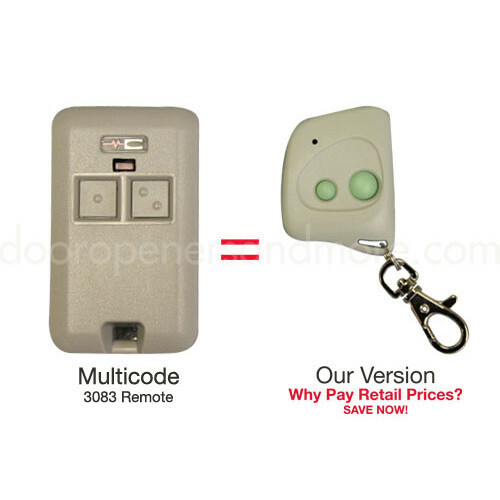 This Multi-Code 3083 compatible two button mini key chain style remote by Transmitter Solutions is compatible with any Multi-Code 300 MHz remote control or radio receiver. 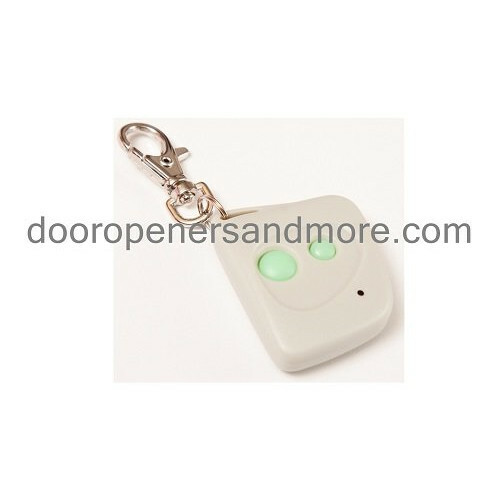 Programming is simple, just match the 10 on/off dip swtiches inside this unit to your opener or current remote and your ready to go. 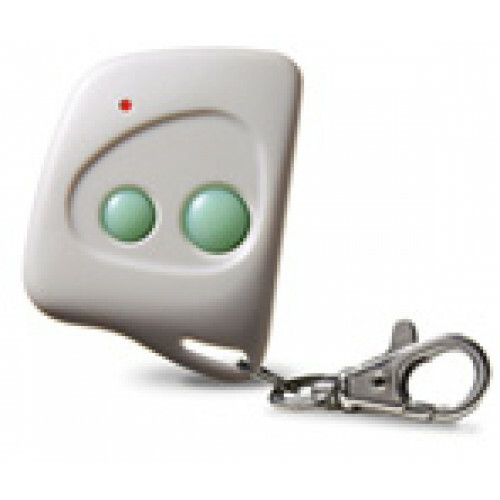 This unit can control 2 different radio receivers and has 2 sets if dip swtiches inside the unit. -Multi-Code: 1089, 3089, 3089-11, 4120, 4120-01, 4140, 4140-01, 3060, 3060-01, 3070-01, 3083, 3083-01, and the 4200 or 4200-01 wireless keypad.